18V ONE+™ 4 Gal. Backpack Chemical Sprayer is rated 4.5 out of 5 by 175. Rated 1 out of 5 by First and last Ryobi from 3rd Time a Charm First two (two!) pump / motor would run but pump absolutely no liquid. (Kinda important as it is a "sprayer". Apparently no, zero, zilch quality control. Hoping this third one actually lasts (not holding out hope). If you really like re-visiting your local Home Depot, going through the exchange process, rinse, repeat, this brand is for you. Chinese junk. I will never buy this brand again of any type of tool. Rated 1 out of 5 by CyMomus from Terrible Product, beware! I bought one of these backpacks three weeks ago, I really wanted to like it, I owned several other + one products, the backpack worked for about 3 minutes before it failed completely. I returned it to Home Depot the following morning and they didnt really want to accept it. They finally agreed to give me my money back. 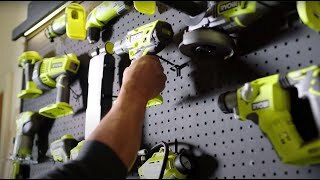 The next day I gave all of my ryobi tools away as I have lost all confidence in this product. Again I wanted to like the backpack and had several hundred dollars invested in ryobi but this failure and Home Depots response were unsettling at best. I would love to give a rave review but facts are facts. Buyer beware!!!!!!!! 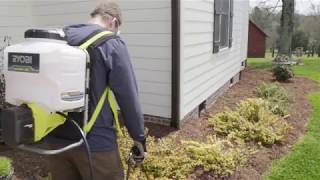 Rated 1 out of 5 by Keith T from So close to being a great product I purchased this sprayer for my landscaping company to spray weed control with. The pump itself ran great! I loved the constant, consistent pressure. I felt that we used less product and got better coverage by having consistent pressure. Unfortunately the hose from the tank to the wand ruptured on the second tank completely soaking me with chemical. The hose was a very thin rubber/vinyl material that had no business holding pressurized liquid. I ended up returning the sprayer. I’m sure eventually they’ll figure it out and use a higher quality hose but until then you’re wasting your time and money buying this sprayer. Rated 4 out of 5 by Unclegadget from Getting the job done! I've used this sprayer on a couple of occasions, and it works great. The only gripe I have is that it works better with the battery that came with the kit. What I mean, is the 2Ahr battery that came with the sprayer, will lock into the sprayer securely, and honestly, it's more than enough power to run the sprayer for hours. I had a fully charged 4Ahr battery from a battery kit that I tried to use the first time I used the sprayer and it didn't lock in, so every time I leaned back, the battery would come loose. I'd have to reach back and push it back into place to get the pump to power back up. with this one minor battery issue, this thing works great! Rated 5 out of 5 by Morrow from Great sprayer I am pleased with the sprayer ,it has good pressure , looks like its built sturdy straps are decent, better than others(competitors) i know the battery should last ryobi has good batteries.the only thing that they could improve would be the pick up tube just floats around. So if your sprayer is not spraying and straining to spray. Its the pickup tube sucking in air. What i did was tie a fishing sinker to the bottom of the pickup tube and it works great. They should fix it to the bottom , or use some kind of clip or suction to keep ot there. Other than that im happy. And it has a 3 year warranty. Rated 5 out of 5 by Kaymo from Simplified my life immensly I have an acre and a half of land and over the years i have used a 2 gallon pump sprayer and it takes me half a day to spray for weeds, This little baby is AWESOME! i was done in less than an hour. The pressure is good and the nozzle easy to adjust. I am so glad to find this product this year! I will certainly be taking care of this useful tool. 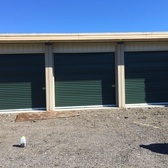 I made sure to rinse it out and spray it with clean water and then cleared the nozzle before storage. I own several RYOBI products and am a RYOBI Girl from here out! Thanks! Rated 4 out of 5 by Michaelfl from Redesign the wand to metal I like the unit but I wished it had the metal wand and nozzles like the hand held unit. Rated 5 out of 5 by Hallmarkreno from Super fast spraying! After I bought this I immediately assembled the wand to the trigger and put of the sprayer tip, whipped up some weed killer, and started spraying - I was done in about 1/4 of the time it usually took me with a different sprayer. Assembly was easy, mixing the chemicals was easy because of the large opening for the fill lid. Putting on the back pack with two gallons in it was easy, and the straps were easy to adjust. Turning it on and off while wearing it was easy. The hose inside the tank was in the right spot to get every last bit of chemical in the tank. The spray nozzle, once I adjusted it to the pattern I wanted, put out a strong cone of weed killer without a bunch of overspray. It was so precise and powerful it took me 1/4 of the time to spray my property. This has already made spraying faster and easier. 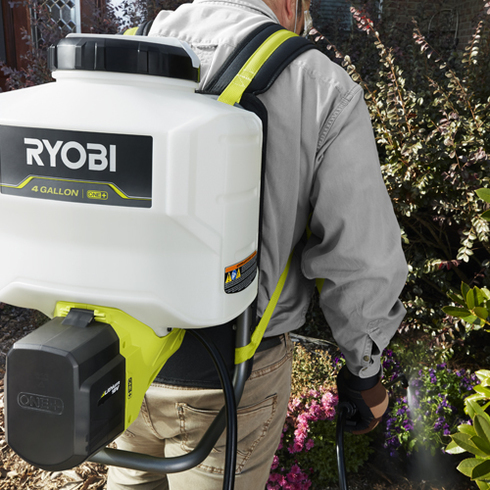 To easily distribute herbicides, pesticides and fertilizer in your yard, the RYOBI 18-Volt ONE+ Backpack Chemical Sprayer is the perfect tool. With no pumping required and a translucent 4 Gal. tank, monitoring fluid levels is simple. This Chemical Sprayer has a nozzle that adjusts for multiple spray patterns and the chemical tank cap doubles as a measuring cup. For additional convenience and the tool comes with a 2.0 Ah Lithium-Ion Battery and is backed by a 3-Year Warranty.